If The Lion King and Rocky III had a love child, it would be Black Panther. To say any more would spoil the entire film. Despite major differences, the film is a beat-for-beat structural retelling of a 1983 classic...yet given that director Ryan Coogler helmed the Rocky spin-off Creed (starring Michael B. Jordan, who appears here as "Erik Killmonger"), he would be well versed in Rocky lore. The third film in that series has been referred, in certain circles, as "the perfect super hero film", so the fact that the film's skeleton mirrors the other so closely is not an indictment (save for the element of predictability that bogs it down), nor is it an unfair comparison either, since both structurally (and, quite honestly, the structure of most Marvel Studios films to date) are steeped in mythology. The Heroes' call to arms, their rise, their fall, their "death", their "rebirth"...universal themes that are shared across cultures, but rarely with such resonance cinematicaly as here given that Africa is steeped in it. It treats the Panther, both as character and myth, as an entity unto himself, despite any superficial resemblance to characters that came before it like "Batman" or "The Phantom". Black Panther is a celebration of Africa and its culture in design, dress, and presentation...all of which is embodied in Chadwick Boseman's "T'Challa", King of Wakanda, giving a performance that is by turns confident and unsure when required, befitting a "hero's journey". The film is also a treatise on the importance of birthright, dignity, duty, honor, and family (themes that mirror the above-mentioned Disney animated classic), while not shying away from the issues of ignorance, marginalization, and racism. The Black Diaspora is referred to but not directly addressed as this is, first and foremost, a super-heroic fantasy. However, it is infused in the narrative without browbeat; a testament to the film's narrative technique, despite a clumsy third act before the film's climax. The film not only addresses racial equality, but gender as well. As capable, charismatic, and dignified as Boseman is in the role, it's the women who steal the film right from under him. Letitia Wright plays "Shuri", T'Challa's sister and chief technological scientist (succinctly put, she's Wakanda's "Q"). Her fraternal relationship with T'Challa rings true. Danai Gurira trades katana for spear as "General Okoye", leader of the Wakandan guard, and wields it, and her role, in effortless, commanding fashion. Her presence is kinetic, and when she's not onscreen her absence is palpable. Lupita Nyong'o's "Nakia" is no damsel-in-distress, but a capable individual who stands as equal to the Panther. While Angela Bassett as "Ramonda" makes clear which side of the family T'Challa got his regal bearing from (and, not for nothing, but at fifty something, Bassett here looks and acts more like the X-Men's "Storm" more than Halle Berry ever did). The "Mickey Goldstein/mentor" analogue is shared between two characters, "T'Chaka" (John Huri) and "Zuri" (Forrest Whitaker), and they fulfill their roles adequately. The two major Caucasian actors, Andy Serkis and Martin Freeman, reprising their roles of "Ulysses Klaue" and "Everett K. Ross" from Avengers: Age of Ultron and Captain America: Civil War, respectively, take the polar opposite positions of enemy and ally. While they are instrumental in moving the plot forward, they take a back seat wherein other films they would be front and center...something else that sets this film apart. Marvel films of late from Age of Ultron on (with the arguable exception of Ant-Man) have endeavored to put to rest the studio's stigma of weak villains. The recent trend being menacing villains with goals so relatable as to invoke sympathy. It's a fine line to walk to have a an effective baddie whose actions are deplorable yet whose motivations are completely understandable, if not justified. In this sense, Jordan's "Killmonger" stands toe-to-toe with, if not slightly edges out, Michael Keaton's "Vulture" or Daniel Bruhl's "Zemo". His character's rage is the aspect most reminiscent of Rocky III, but unlike Mr. T's "Clubber Lang", Killmonger's rage is more atavistic, personally motivated, and focused. But he's not a two-dimensional character, for Jordan takes what could have been a stock villain archetype and infuses moments of nuance and vulnerability. This film, combined with Creed, shows an actor of remarkable depth and versatility that can play either side of the moral coin. A hero is only as good as his villain, and while Boseman is quite good as the title character, it's only when he's paired up with Jordan that his performance truly crackles. Special note must be made of Winston Duke as "M'Kabu", the "Thunderlips" of the film and, like Hulk Hogan, just as contradictory: menacing yet a source of much needed comedic relief. Marvel Studios banked on this film, and it shows. Visually, the film pops (with only two instances where the CGI was wonky enough to take one momentarily out of the film), taking advantage of the film's settings to make each location stand out in vibrancy. The movie's score and soundtrack, Ludwig Goransson with music by Kendrick Lamar (among others), capture the African cultural aesthetic both traditional and modern, further individualizing the other films under the Marvel banner even as it remains firmly within that shared universe. Black Panther in many ways is a standard Marvel film, with its expected conventions firmly in place. But in many other ways, Black Panther is its own entity, and a triumph as it dismisses and rises above both expectations and confines of what is expected of a "black picture". Not a whiff of the blacksploitation era is evident here. These are fully realized, human characters (despite their over-the-top superheroics), who happen to be of a certain nationality and culture. It embraces that even as their characters struggle with the idea of opening it up to a world that sadly still has not caught up with the ideologies of equality and brother/sisterhood. But for all its significance, it never loses sight of the fact that it is supposed to be a fun, fantasy adventure. The actors are clearly enjoying themselves, even at their most serious, as there is an infectious joie de vivre infusing the film that the audience cannot help getting caught up in. 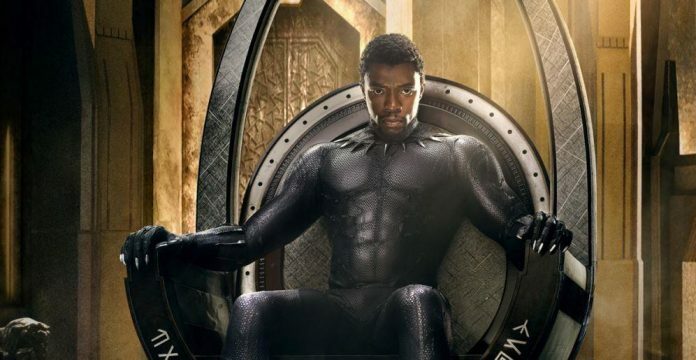 Recently, a black super-hero renaissance in live-action has started to emerge. While Wesley Snipes' Blade has not been given its appropriate due in spearheading it, the rise of such characters as "Black Lightning" and "Luke Cage" has shown that there is a market for heroes of color. Black Panther will certainly cement it. It's not a perfect film structurally, and its politics will leave some moviegoers cold (but that will be a commentary to their own prejudices rather than the film itself). Black Panther is not only a must-watch, but it is also a cultural touchstone (even if the story itself doesn't match that weight). The fact that it was made at all is a testament to that, and it's a step in the right direction.